Sibanye Gold (JSE:SGL) (NYSE:SBGL), the biggest producer of the precious metal in South Africa, said Wednesday it plans to spend $250 million (R3.9 billion) this year boosting infrastructure at most of its assets. Speaking at the European Gold Forum in Zurich, CEO Neal Froneman said the firm will allocate $115 million (R1.6 billion) underground projects at the Kloof and Driefontein gold mines on the West Wits. 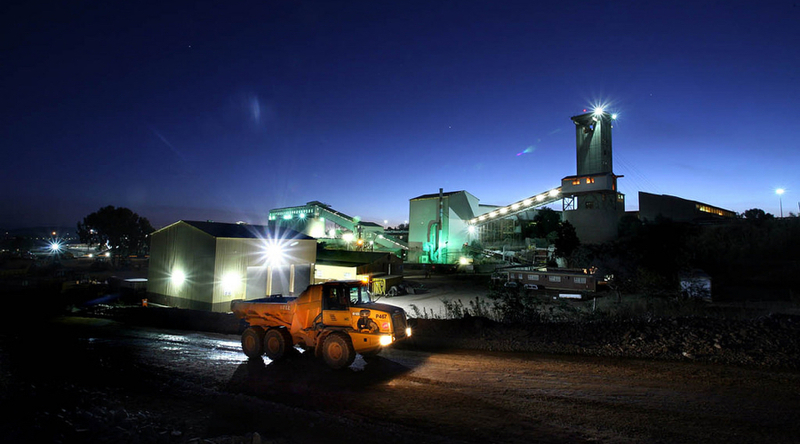 The miner, which spun out of Gold Fields Ltd. in 2012 with three aging South African gold operations, also expects to invest $120 million (R1.7 billion) to develop its new Burnstone gold mine on the South Rand. The miner also aims to cut reliance on power from state-owned supplier Eskom Holdings SOC Ltd., which requires large users such as Sibanye to cut usage by as much as 20% when the utility is short and implements managed blackouts, which happened on more than 100 days last year. 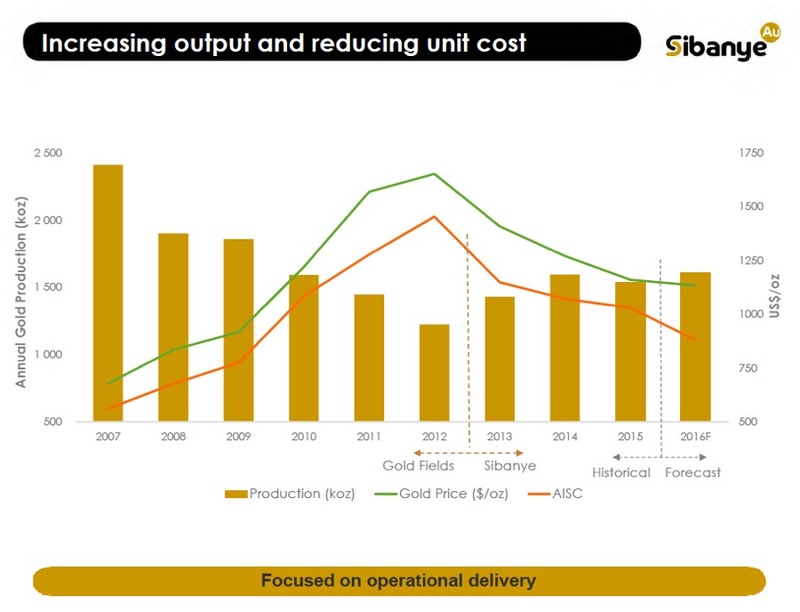 Sibanye has reduced its workforce and lowered costs, which has left it well-placed to take advantage of a gold price that’s up about 17% this year. The producer said its 150-megawatt photovoltaic power plant should generate its first electricity toward the end of 2017. 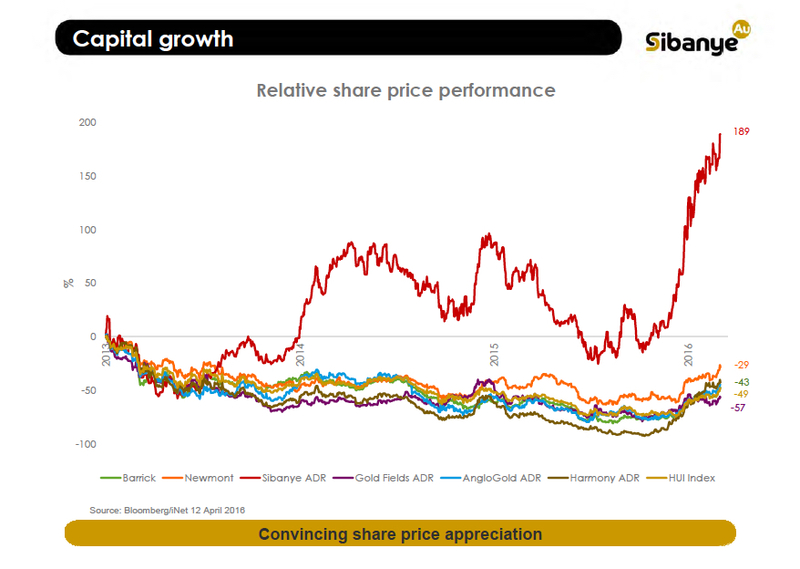 As most gold producers, Sibanye has been cutting workers and lowering costs, leaving it well-placed to take advantage of a bullion price that’s up about 17% this year and a weaker rand, in which it pays costs. The firm, which will soon change its name to Sibanye Resources, reiterated it was actively considering acquisitions, as it wants to take advantage of its strong current position and the weakness of most competitors. Sibanye has said in the past that is not exclusively looking at buying gold assets, as it is also considering platinum, coal, uranium and base metals mines.